Take a breath of fresh air in the capital of Haute-Auvergne! 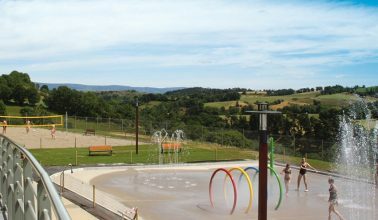 Located in Saint-Flour, a thousand-year-old city with a rich heritage, our Roche Murat campsite welcomes you to Auvergne, land of volcanoes and wide open spaces. Ideal setting for lovers of nature hiking and gastronomy, Cantal will fill you with its exceptional landscapes and culinary specialties. 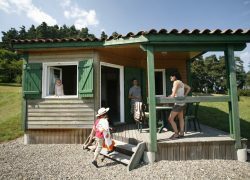 A stay of discovery, relaxation and conviviality awaits you at the campsite of Roche Murat. You can relax in a green setting enjoying the proximity of the water sports center of the city of Saint Flour.